Charles Leadbeater is a leading authority on innovation, strategy and education, and one of the most influential creative people in the world. He has advised companies, cities and governments, and is former UK Prime Minister Tony Blair’s favourite corporate thinker. He is widely recognised as one of the world’s leading innovative thinkers on the future of learning, in the developed and the developing world. His renowned work, Learning from the Extremes, in conjunction with Cisco, looked at the demand for innovative approaches to low cost, mass forms of education in the developing world. He authored We-think, which chartered the rise of mass, participative approaches to innovation. It is one of several acclaimed books; Living on Thin Air, a guide to living and working in the new economy; Up the Down Escalator, an attack on the culture of public pessimism accompanying globalisation and In Search of Work which was one of the first books to predict the rise of more flexible and networked forms of employment. He has also written extensively and influentially on the case for more personalised, participative approaches to education, most recently a report entitled What’s Next – 21 Ideas for 21st Century Education. His latest book is Innovation in Education: Lessons from Pioneers Around The World. In 2002 Charles Leadbeater was listed by GQ magazine as ‘one of the Most Powerful Men in the UK’. The New York Times anointed Charlie’s idea, The Pro-Am Revolution, as one of the biggest global ideas of 2004. In 2005 Charlie was ranked by Accenture, the global management consultancy, as one of the 30 top management thinkers in the world. In 2007 the Financial Times ranked him the outstanding innovation expert in the UK, and in 2008, the Spectator Magazine described him as “the wizard of the web”. Charlie has worked as a senior adviser to several governments on the rise of the knowledge driven economy, the Internet, and on future strategies for more networked and personalised approaches to learning and education. The UK Government has turned to him for advice on policy issues ranging from health and education to climate change and culture. He was one of the first Europeans to advise the Chinese government. Charlie has advised the European Commission, working as a special adviser on Competitiveness and the New Economy. In the run up to the EU’s Lisbon summit in 2000, he wrote the draft report presented at the Lisbon summit: The New Economy: The European Model. As a Senior Associate with the influential London think tank Demos, Charles Leadbeater leads the Atlas of Ideas programme which is exploring the international dynamics of innovation. The Atlas programme has produced reports on India, China, South Korea, Brazil and the Islamic world. He has advised a long list of organisations and governments on innovation, strategy and the future of education. Charlie is a Visiting Fellow at Oxford University’s Said Business School and a founder of Participle, the leading public services innovation agency, which is working with public sector agencies to create next generation public services. 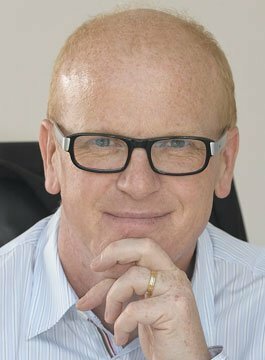 As a keynote speaker, Charlie Leadbeater’s main area of focus is on the leadership and management of innovation and in particular the challenges large organisations face in becoming more innovative. The Seven Cs of Innovation.